Stereotyped as a condition that affects workers from a specific set of occupations, all individuals are in fact at risk of experiencing carpal tunnel syndrome. 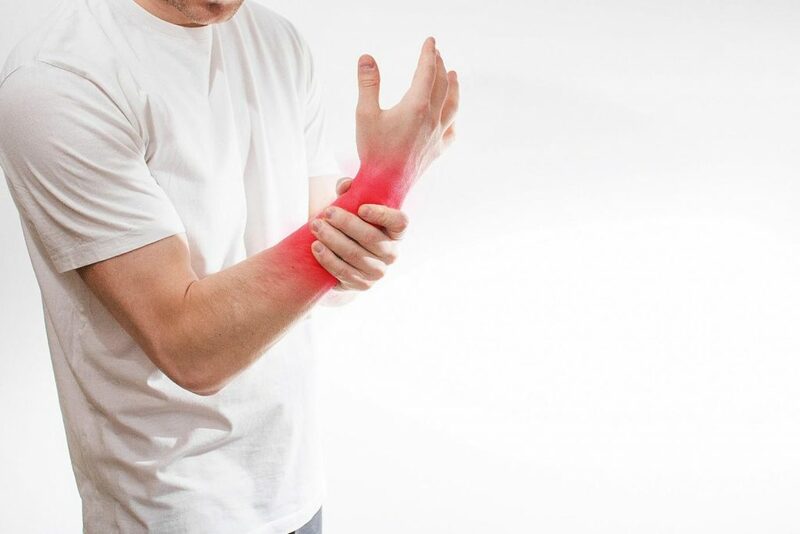 With the level of risk depending on the actions you complete on a daily basis, carpal tunnel syndrome is experienced by patients as a very uncomfortable and sometimes extremely painful tingling sensation that starts in the wrists and hands and radiates up the arms. The carpal area is a narrow but very important tunnel which runs along the underside of both of your hands. It serves as the highway for a major nerve, known as the medial nerve, as well as the tendons of your fingers. The nerve and the tendons utilize this space when they move your fingers, making the health of this tunnel pivotal to the effective function of your hands and fingers. When the tunnel is compressed, it is felt like an uncomfortable sensation that makes daily tasks incredibly difficult. For sufferers of the condition, this means it often interferes with their ability to do their job and prevents them from engaging with hands-on hobbies, such as gardening. However, carpal tunnel is manageable and treatable with good professional guidance and the adoption of healthy habits. Carpal tunnel syndrome’s signature sensation of tingling is directly related to nerve compression caused by persistent actions that put an unreasonable amount of pressure on the wrists. Every action has an equal and opposite reaction. Therefore, any pressure on the nerves in one direction only is going to have a squeezing effect oppositely. If you have been experiencing tingling or pain and you want to know whether you might have carpal tunnel syndrome, then a good way to check is by doing Phalen’s test. To do this, simply put your arms straight from your body and then let your fingers fall to the floor, ensuring your wrists are stretched as you do so. If you experience any of the symptoms we have mentioned within a minute, this is a sign you might have an issue with your carpal tunnel area. Luckily there are non-invasive techniques that help you regain your health and the full function of your arms, hands, and fingers. If you have a diagnosis of carpal tunnel syndrome, then you are probably weighing the pros and cons of both invasive and non-invasive treatment paths. According to statistics, 75% of patients who have had surgery to relieve carpal tunnel syndrome have their symptoms return within two years of having the surgery. What this clearly indicates is the tunnel is being physically relieved of compression, but the cause has not been identified and removed – the habit causing the initial issue. With chiropractic care, the source of the compression is determined first, meaning you have to adjust your physical habits to release your carpal tunnel. Chiropractic care takes it one step further, by gently manipulating the carpal area. This means you naturally experience the benefits of surgery, while also addressing the cause of the problem. Interestingly, new research has been done on the underlying cause and contributing factors which influence the appearance of carpal tunnel syndrome. It has been determined that pain, as felt in the wrists, can be attributed to issues present in other areas of the body, such as the neck and spine. It points to the carpal tunnel being caused by a general misalignment of the body, making chiropractic the perfect solution for any issue stemming from bodily pain. This makes absolute sense when you consider that the medial nerve (which runs through the carpal tunnel) originates at the spine. The best way to ensure the health of your arms is to make sure you aren’t overusing them in any of the high-risk task areas as well as ensuring you practice healthy habits that contribute to the balance and strength of your overall system. Tasks that have been identified as contributing to the compression of the carpal tunnel include: using machines that involve vibration, putting physical stress on the hand or palm, exerting a strong grip frequently for extended periods, uncomfortable hand positions, and any hand actions that can be considered repetitive. If you are experiencing a tingling sensation in your hands, or any part of your body, consult your chiropractor for expert guidance and an in-depth treatment plan. With a proactive approach, you’ll be sure to achieve a healthier pain-free condition in no time at all.